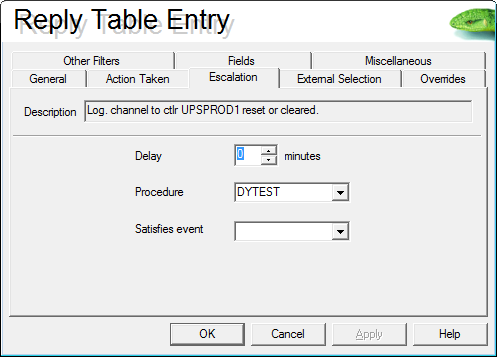 The following sections contain a step-by-step guide to implementing frequency processing within the auto-reply maintenance in QMessage Monitor. 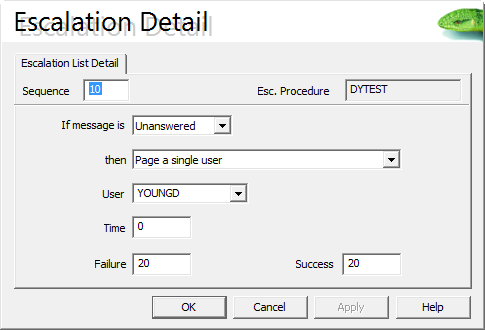 This feature allows you to perform a different action based on the number of occurrences of a message within a given time period (minutes). 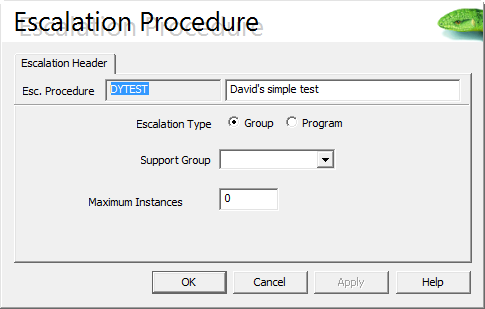 In the example, we send an email message to a user via an escalation procedure, if a certain message has been received four times in an hour; otherwise, we answer the message with a “C”. 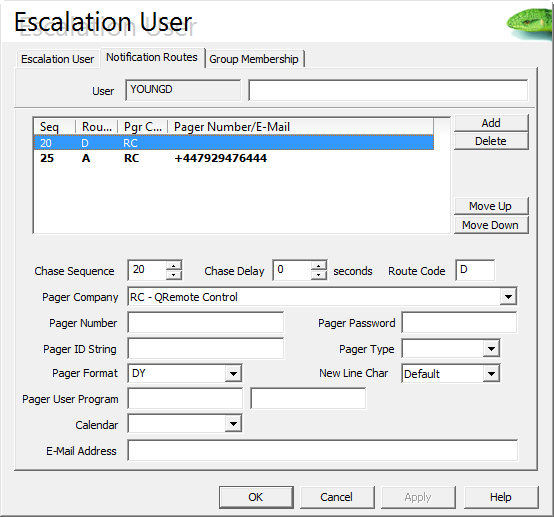 Don't worry that we're ‘Paging’ a user, because the user is set up with a preferred paging method equal to email, the message will be sent to the email address. 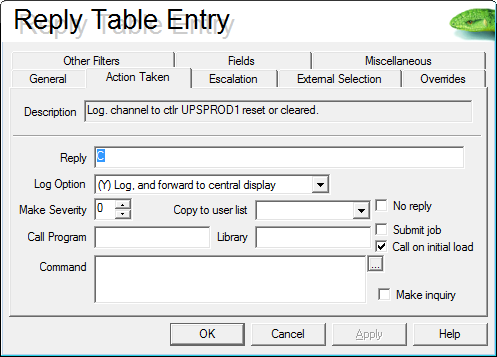 We now need to define two auto-reply rules. The first calls our escalation procedure if we've received message CPA576E for controller UPSPROD1 four times within a sixty-minute period. 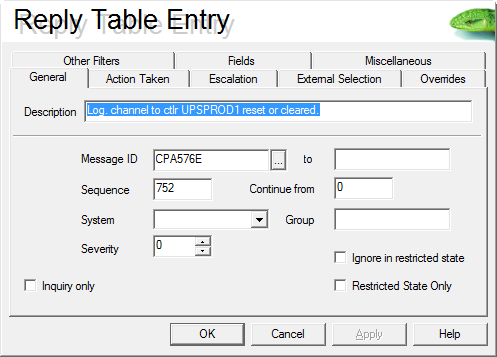 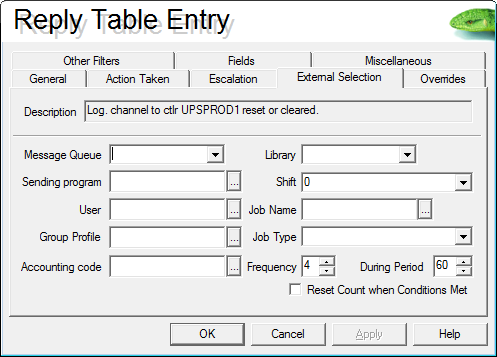 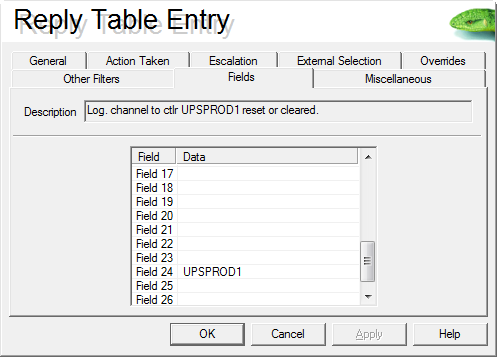 The second answers message CPA576E for controller UPSPROD1 with a C. Because the auto-reply table is searched in sequence number order, the rules have to be created in this numerical order. Note: Make sure you get the message data starting in the correct position. 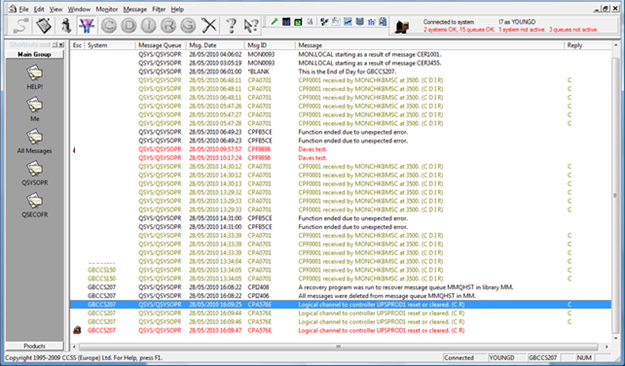 We see the first three messages replied to with a C. The fourth message has an escalation icon against it indicating that an escalation procedure has been run.